New Delhi: March, 2014 – Dr Sirisha Singh, the founding member and Medical Director of The Skin Center helps you with some easy to use tips to enjoy the holi cheer with minimal damage to your skin, hair and nails. She gives an easy to follow home-based regime which helps you prevent and care for yourself with easy-to-use skin care products. The Skin Center, a leading skin treatment consultancy located in the heart of South Delhi offering unique skin care remedies to help you rejuvenate and repackage your appearance. Dr Sirisha Singh, founded the Skin Center in 2008 supported with her international expertise of 8 years in the United Kingdom. 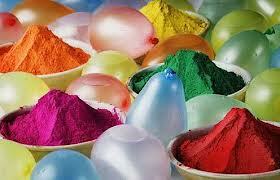 Holi, the most colorful and vibrant festival of India brings with it lots of cheer and the promise of warmer days. We all cannot help but get out of the house for some fun and frolic with colors. However, if one is not careful, there can be problems during and after the play. The dry colors or gulals often contain asbestos or silica. These can cause a reaction in the skin which can appear as redness and may be itchy or may even cause burning of the skin. If this happens, one needs to wash off the area immediately with a gentle cleanser and lukewarm water and apply a soothing moisturizer immediately. You can then see your dermatologist for some prescription medications. The heavy metals when inhaled can also cause a flare-up of asthma. If you already suffer from asthma, one can use their preventative inhaler regularly for a few days prior to holi. If the gulal accidentally enters the eyes, it can cause an allergic reaction of the eye (allergic conjunctivitis). This can cause redness, itching and watering from the eyes. If this happens you need to wash off the eyes with plenty of water and see an ophthalmologist if the problem persists. The wet colors or the water colors or permanent colors often have gentian violet. This can cause a reaction of the skin and sometimes it can also cause a permanent discoloration of the skin. The pastes often have heavy metals like lead, mercury, copper and aluminium. These can cause an allergic reaction of the skin. Mercury also increases the risk of skin cancer and lead can cause damage to the kidneys in the long term. All these problems can be averted by using organic colors. There are many stores where such organic colors can be easily bought. One can also make organic colors at home using natural ingredients like turmeric, grinding the dry petals of flowers. Wet colors can be made by soaking the peels of pomegranate overnight or by using mehendi leaves soaked in water and then blending them. Hence, Holi comes with a lot of festive cheer. It also comes with potential damage to the skin, hair, nails, eye problems, etc. Although many people are increasingly using herbal colors, we still find people using permanent and chemical colors which are very harsh and can cause extreme damage. In addition they may also cause allergic conjunctivitis if they accidentally get into the eyes. The Skin Centre brings you simple, effective methods of protecting and rejuvenating yourself. Before the play: It is worthwhile to spend some time protecting yourself from potential damage. Apply plenty of moisturizer or olive oil all over the body as this will help with cleansing off the colors after the play. Oil your hair with coconut or olive oil. This will work as a shield between your hair and colors and protect the hair from getting damaged. Apply a thick coat of nail paint and also use the nail paint over the cuticles, as colors have a tendency to get into these crevices and are then very difficult to get rid of. Wherever possible wear full sleeves and cover up as much as possible with clothes to reduce the area of the body exposed to the colors. Apply a thick coat of sunscreen in all the exposed areas as most people tend to play for a couple of hours or more, the sun can cause havoc on the skin and some colors also enhance the sensitivity of the skin to sunscreens. Try and use herbal or organic colors as much as possible. If some colors get into the eyes, wash it off with plenty of water. If you develop an itching sensation anytime during the play, it is an indication that your skin is getting irritated. It is then time to stop and wash off the area with plenty of water. Do not wash off with harsh soaps or cleansers. It is also advisable to avoid cleansers like petrol. Apply a generous amount of cleansing milk all over the body, wait for 3-5 minutes and then wash it off with lukewarm water. Use a gentle shampoo for the hair and follow it up with generous amounts of conditioner to soothe the hair shaft and protect it from splits or getting brittle. After cleansing, apply a generous amount of moisturizer all over the body to soothe and hydrate the skin. If you notice any rashes, you will need to see your dermatologist for some medicated creams. You can take out the nail paint with a nail polish remover. These were a few tips to protect yourself during the holi fun. The list is purely indicative and by no means exhaustive, it is meant to be a general guide. For more specific information or requirements, you may consult a Dermatologist. But, most importantly remember to have fun and enjoy the festival.